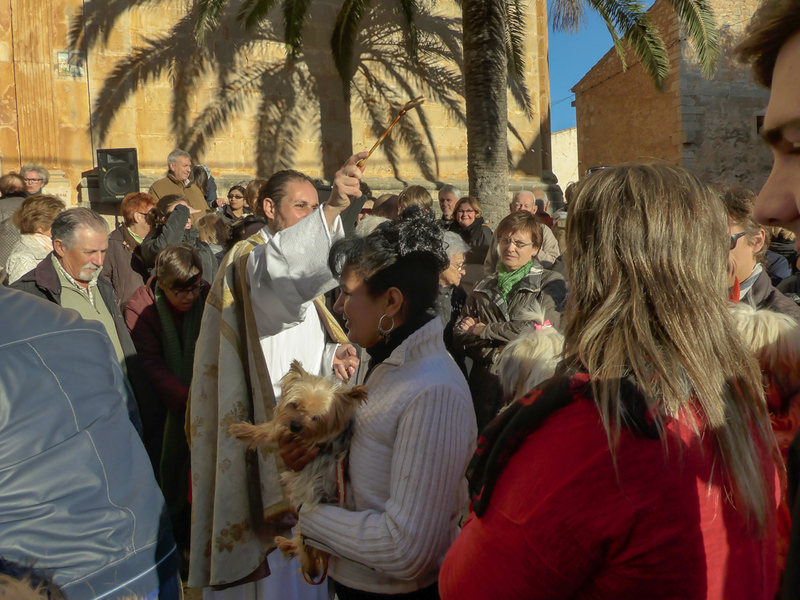 Santanyí had its big day yesterday with the beneïdes (animal blessings) at the occasion of the annual Sant Antoni celebrations. Horses, dogs and cats were paraded past the parish priest to be blessed by him. Even the odd stuffed animal was presented to the Monsignor. The photo was taken in Santanyí, Mallorca, Baleares, Spain. The date: January 17th, 2015.